Help us honour Albert Horace Hake's service by contributing information, stories, and images so that they can be preserved for future generations. 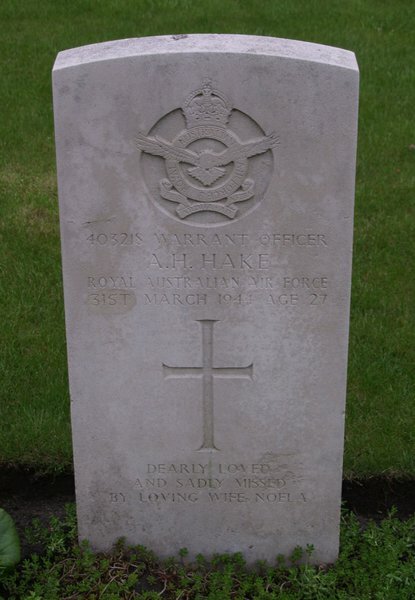 Warrant Officer (Pilot) Hake, Service Number 403218, served with 72 (R.A.F.) Squadron, Royal Australian Air Force. He was 27 and the son of George and Lillian Maud Hake, of Sydney, New South Wales, Australia; husband of Noela Aundree Lillian Hake, of Carlton, New South Wales.